White leather is always as fashion standout. The look gives off an air of fashion forward execution and trendy prowess. A new white leather coat, pair or pants, vest or cropped jacket may be the perfect item to make you the talk of any event. While white leather may be aesthetically appealing, the color has its disadvantages. Obviously, any white item is prone to stains. It’s almost expected (and desperately prevented) with white clothes. Some stains may be removed easily from white leather while others may not. When caring for a white leather item, every effort should be made to remove any stain as promptly as possible to prevent permanent effects. Dye stains are always more difficult to remove because of the sheer purpose of dye. Here are some simple suggestions on how to remove dye from white leather with everyday house hold items in your kitchen or laundry area. Inspect your leather item closely. The pattern in which the leather runs is called the ‘lie’. You should make every attempt to clean your white leather in the same direction as the lie. If you are unable to identify which direction the lie runs in then take extra care to remove the stain from the perimeter into the center. Don’t wipe in circular motions. This could push the stain in further. Press a few droplets of hand soap on the tips on your fingers. Wet the soap with cold water. Rub your fingers together to create a soapy lather. Apply the soapy lather directly to the stain with your fingers. Use a clean cloth that is free of lint to rub the soap into the stained leather. Wipe any excess lather from the white leather item. Place some detergent in a bowl. Add water to the detergent. Manually stir the mixture with your fingers to create a soapy lather. Use a clean cloth to rub the soap in to the stained leather. Remove any excess lather from the white leather. If the above steps do not completely remove the dye stains from your white leather then you should seek the help of a professional. If the stain is old it may not work as well as it would on newer dye stains. 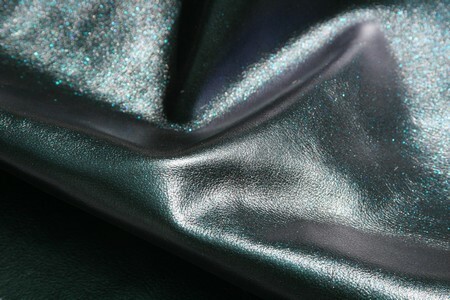 A leather specialist may be able to better assist you in removing dye from the white leather item.